When I was a student at the University of Wisconsin in Madison, one of my few regrets was that I never was able to visit Wisconsin Dells to explore the Wisconsin River with its famed Dells, and walk around the town. Since I didn’t have a car, and Amtrak didn’t stop in Madison, this was a desire that I could never satisfy. Let’s begin this month’s Car Free Journey to Wisconsin Dells, Wisconsin. Today’s column includes suggestions from the Wisconsin Dells Visitor & Convention Bureau (WDVCB). 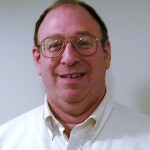 We will also include many tips and recommendations from local photographer Joseph Leute. Joe is a freelance photographer who makes his home base a cottage perched above Mirror Lake in central Wisconsin. He grew up at his family’s resort on the Wisconsin River. As a child he took off for the woods and the bluffs whenever he could. That wanderlust never left, as he travels the Midwest, the U.S. and the world to capture images for clients in the travel and tourism industries. Little adventures still rule his life. Joe’s comments and suggestions will be in italics. What’s Special about Wisconsin Dells? Wisconsin Dells has no public transportation. However, the town is very walkable, and both the Amtrak train and Greyhound bus stop in or near downtown. Joe Leute thinks his community is a great vacation choice for walkers. “The train stops in the heart of our downtown. You can enjoy great restaurants like High Rock Cafe or grab a Wisconsin famous burger from Monk’s Bar and Grille. I travel for work and I have yet to eat a better burger. The streets are lined with candy shops and other nostalgic souvenirs. “While you are here, I strongly recommend that you visit the HH Bennett museum. Bennett is considered a founding father of photography and has the first stop action picture ever taken (a man leaping Stand Rock). H.H. made the Dells his home because of his fascination with the river and dedicated most of his work to photographing it. The work is stunning even when held up against today’s best landscape photographers. In fact, it was H.H. Bennett who used his river images to captivate train travelers from Chicago. If you are considering a visit here, Joe suggests coming anytime between late spring and fall. If you come during fall, it is still comfortable enough outside to walk. The boat tours are still operating, and the trees might have color. According to the CVB, Wisconsin Dells is a good choice for families and adults without children. Families should take time to enjoy at least one of the many waterparks here. Adults without kids can enjoy local nightlife, gaming, spas, hiking, and golf while visiting. Train and bus travelers are fortunate. Both Amtrak and Greyhound stop downtown. Amtrak’s Empire builder train stops here westbound (from Chicago and Milwaukee) every day at 5:49 p.m., while the eastbound train (from Spokane, Fargo, and Minneapolis/St. Paul) stops at 12:08 p.m. daily. Greyhound buses come here from Chicago, Milwaukee, and Madison (WI). (You can connect from any city that Greyhound serves. Go do www.greyhound.com for details and specific schedules and fares. Air travelers can also get here, although it is a little more difficult. American, Delta, Frontier, and United fly into Dane County Regional Airport, near Madison. For schedules and other information visit https://www.msnairport.com/flight_travel/airlines. The following hotels that are right downtown are friendly mom-and-pop style motels. This resort has a sidewalk path for guests to walk to the Wisconsin River and Lake Delton. The distance is about a three-mile walk. The resort also has several restaurants, an AMC movie theatre, waterparks, a theme park, and a spa on its property. A1 Wisconsin Dells Kangaroo Taxi – 608-432-4627. 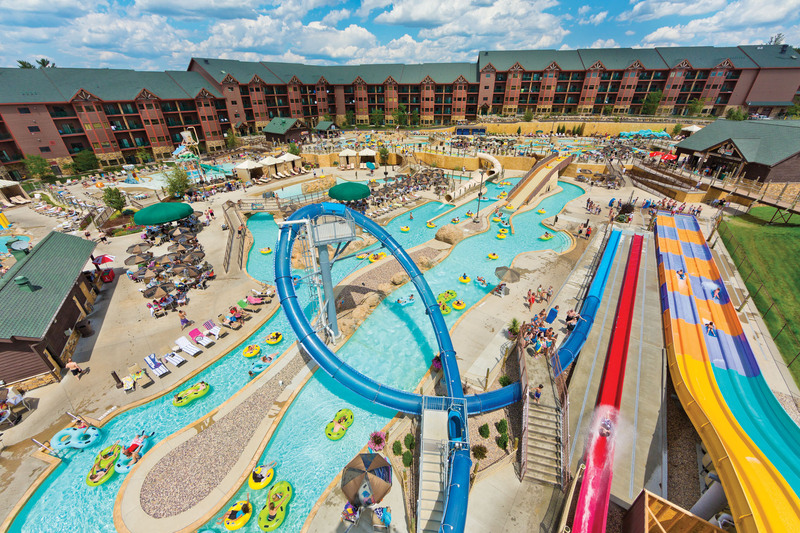 Sun-Thurs: 8 a.m. – 2:30 a.m.; Fri & Sat: 8 a.m. – 3:30 a..m.
Since Wisconsin Dells is “The Waterpark Capital of the World,®” try to visit at least one waterpark. Some resorts limit their waterparks to resort guests. Fortunately, three waterparks offer day passes: Noah’s Ark Waterpark, Mt. Olympus Water & Theme Park and Kalahari Resort Waterparks. These are not downtown, but Noah’s Ark Waterpark and Mt. Olympus Water & Theme Park are walkable from the Amtrak station, maybe 10 minutes from downtown. While you are here, take advantage of the natural beauty. 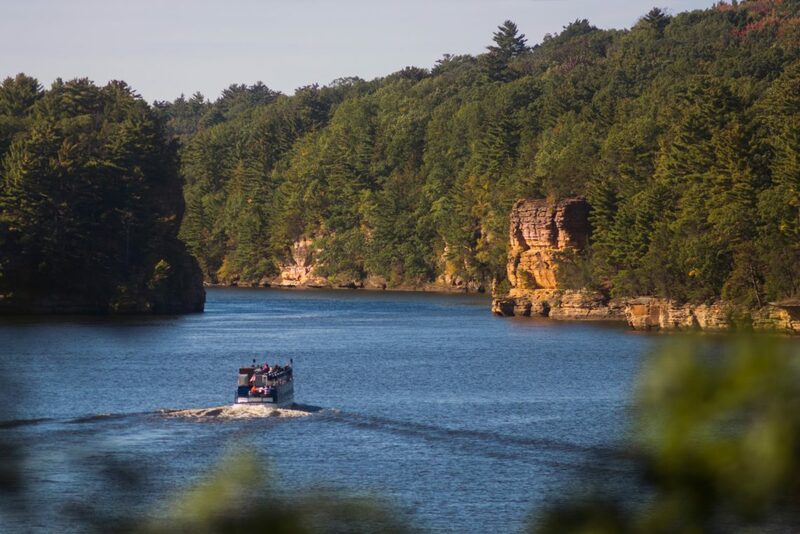 The scenic sandstone cliffs along the Wisconsin River are what first made the area famous 150 years ago, when visitors arrived in droves for rowboat and steamboat tours. The Original Wisconsin Ducks® and Dells Army Ducks both have shuttles that you can jump on right downtown and take to their locations (which are probably a 10 minute walk from downtown). Mini-golfing is a classic Wisconsin Dells activity. Pirate’s Cove Adventure Golf is just across the bridge from downtown (a 3-5 minute walk from the Amtrak station). If you are spending a second day here, the CVB suggests checking out some of the animal attractions, such as Wisconsin Deer Park or Timbavati Wildlife Park. Both are within walking distance of downtown. Tommy Bartlett Show is a classic ski, sky and stage show. Though that is a bit farther of a walk (maybe 25+ minutes), it is usually on the lists of “must-dos” in Wisconsin Dells. The Scenic River Walk downtown is a great option. There are several overlooks along the ½ mile route with great spots to take some pictures. Take a few minutes to stop and visit the more quiet Bowman Park that is also located on Broadway. H.H. Bennett Studio (www.hhbennettstudio.org or call 608-wre-3523) is a Wisconsin Historic Site located downtown at 215 Broadway that showcases the equipment of famous landscape photographer Henry Hamilton Bennett. You can view many of his amazing photographs showcasing the rock formations along the river as well as the Ho-Chunk Indian culture. High Rock Café (http://www.highrockcafe.com or call 608-254-5677) is a great dining destination downtown. The owners, who are the head chefs, take great pride in creative cuisine. The restaurant features a second floor with atrium windows for some great people-watching while you eat. For a list of local businesses and attractions that are located downtown or within walking distance of downtown, go to http://www.wisdells.com/wisconsin-dells-family-vacation/search-guides/Downtown-Wisconsin-Dells-Brochure.htm. 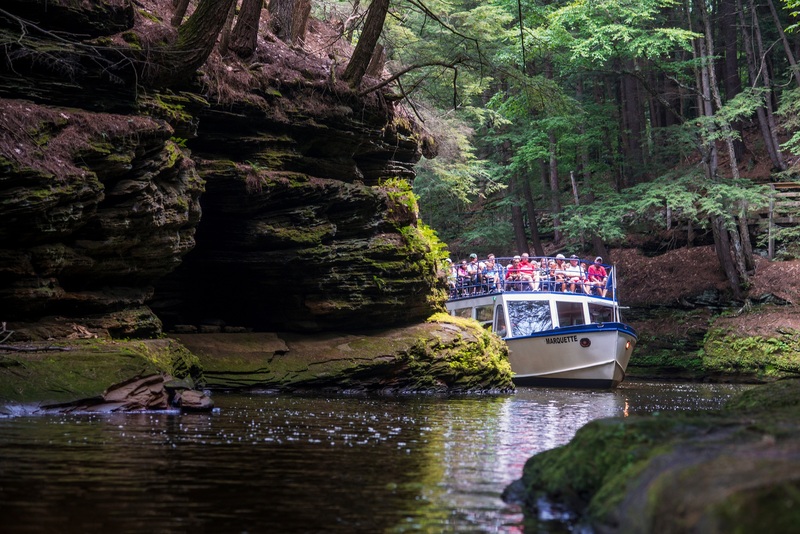 Dells Trolley Tours (https://dellstrolley.com/ or call toll-free (608) 393-6008) is a new service that offers a variety of tours in the area – Historic City Tour, Winery Tour, Bloody Mary & Mimosa Tour, and Beer, Distillery & Food Pairing Tour. Baraboo and Circus World Museum (http://www.circusworldbaraboo.org/ or call 608-356-8341): A 15-minute taxi ride will take you to Baraboo. This community to the south is famous for Circus World museum and was the winter headquarters of the Ringling Bros. Circus. Circus World still has an active big top show in addition to the museum aspect. Baraboo’s downtown is quite charming. Here are Joe’s suggestions for visitors who don’t want to drive: “Start by walking directly across the street from the train depot to Showboat Salon and grab a craft beer. Then, have a burger for lunch at Monk’s. After lunch, do some window shopping along Broadway. One of my favorite stores is Winnebago Gift Shop. Then walk across Broadway to the HH Bennett Museum to check out the photographs. If you feel up for some thrills, walk across the bridge at the end of Broadway and jump on the roller coaster or Flume ride at Timber Falls. While you are there, enjoy a game of miniature golf—it’s right on the site. Finish the day off with a Sunset Dinner Cruise. You can enjoy this entire day on foot—no car is needed. Don’t forget a night cap back at either Showboat or The Keg while you take in the live music. High Rock Café – Variety of modern American food. highrockcafe.com. Joe Leute’s favorite eating places downtown include: High Rock Cafe, Monk’s Bar and Grille, and Mac’s. All three of these restaurants are staples of the downtown that are loved by locals and reasonably priced. Contact the Wisconsin Dells Visitor & Convention Bureau at www.wisdells.com or Call toll-free (1/800) 223-3557. Go to http://www.josephleute.com/ or call (608) 393-6008.